A new megaways slot is here, and it is a good one. Machina Megaways, a slot made by Kalamba Games and distributed by Relax Gaming with Megaways license from Big Time Gaming. 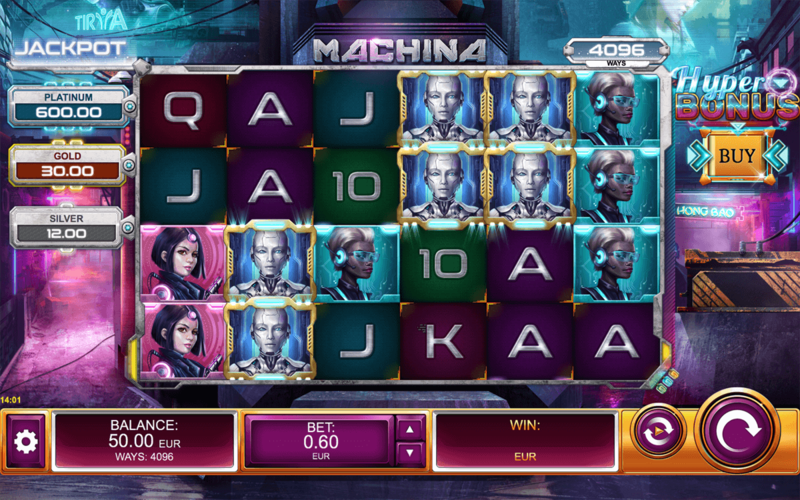 Enter a futuristic world with robots and cyborgs and try to get that big win on this new slot. The potential is very high on Machina Megaways with a maximum win potential of 26.600x the bet size and up to 46656 megaways. 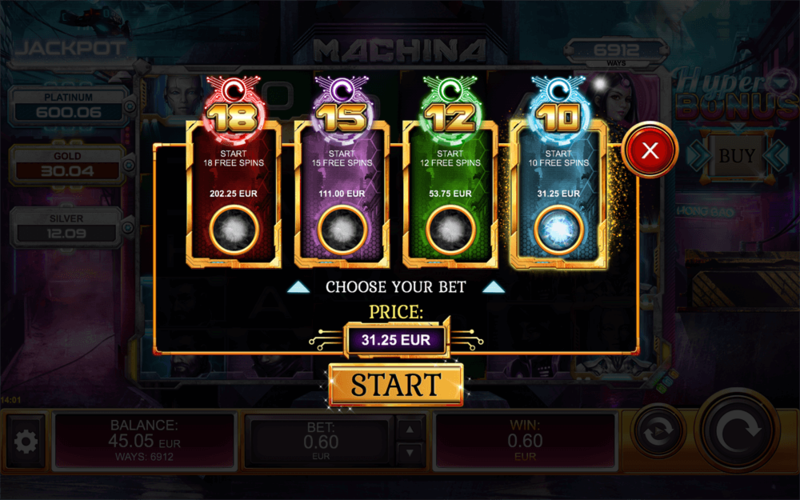 Machina Megaways is a very volatile slot very good for high-roller players but also giving excellent variety in gameplay for all types of bets and players. Featuring Kalamba's proven progressive mechanic, Machina Megaways has a special free spins feature where symbols transform into the Cyborg symbol that can also award the Bonus Jackpot, leading players to a fantastic gameplay and excitement when playing this slot. Players can also buy the free spins, having different prices for each number of free spins, and they can choose between 10, 12, 15 or 18 free spins. During the bonus round the player should focus on collecting the Chip symbol, because that symbol will add extra spins and also replace the other premium symbols with the Cyborg one making it more easy to get some big wins or win one of the three jackpots, the Silver, Gold or Platinum. The free spins are really exciting and the potential of this new slot is very high, so players should try their luck and see if they can land a super big win on it. Machina Megaways has a 96.59 to 97.42 RTP, a minimum bet of 0.60 and maximum bet of 36. It is a very high volatile slot game with a hit frequency of 29.50% and a max win of 26.600x the bet.